Archers Bay, a colt named after an area famous for its sunsets in northwest Barbados, was the first horse Eugene Melnyk ever ran in the Queen’s Plate. He won handily, confirming his decision to spend $125,000 for the son of Silver Deputy at a Kentucky yearling sale. Did it portend of what the future in the Thoroughbred racing industry held for the Toronto-born pharmaceutical magnate, philanthropist and future owner of the Ottawa Senators of the National Hockey League? ?Melnyk thought so on that June 21, 1998, afternoon at Woodbine. Both Melnyk and his trainer Todd Pletcher were at the very beginnings of their top-flight careers. “It’s everyone’s dream. You can’t imagine what it’s like to come here and win the Queen’s Plate. I’ve owned claiming horses and I’ve run Standardbreds at small tracks. But to have one that can win the Queen’s Plate is something one can only dream. This (Woodbine) is my old stomping grounds. I used to come here every weekend.” Archers Bay, bred by Windfields Farm, was acquired by Melnyk in partnership with Bill and Iris Bristow. The colt went on to win the Princess of Wales Stakes that year. 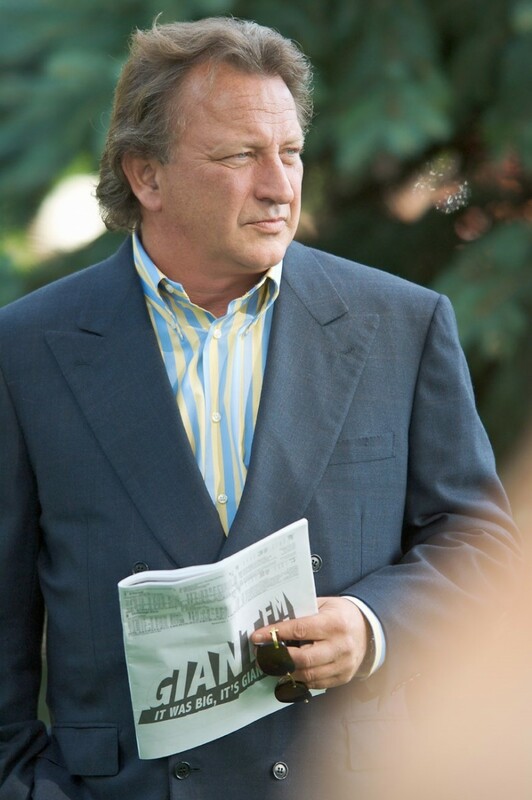 It wasn’t long before Melnyk would be challenging the top racing outfits in Canada and North America. Owner of Winding Oaks Farm in Ocala, Fla., a 1,100 acre property, his racing and breeding stock at one time totaled 500 horses. His investment of spending millions at yearling sales and breeding stock would produce 12 Sovereign Awards. A resident of Barbados since 1991, he was named Canada’s Outstanding Owner in 2007 and won Sovereign Awards in 2009 as Outstanding Owner and Breeder. Among the many Melnyk stakes winners that have run under the blue and gold? silks with three Vs, Barbados’ national colors, the list is headed by Sealy Hill, who became the first filly to win Canada’s Triple Tiara (the Woodbine Oaks, Bison City and Wonder Where Stakes.) She won three Sovereigns and was inducted into Canada’s Hall of Fame. Speightstown, like many of Melnyk’s horses is named after a Barbados’ landmark or locale, was an Eclipse Award winner after winning the 2004 Breeders’ Cup Sprint. Multiple Sovereign winner Roxy Gap, ?Marchfield, who won over $1 million, Leigh Court, Flower Alley, winner of the Travers and sire of Kentucky Derby winner I’ll Have Another, Lodge Hill and ?Graeme Hall are only a few of his 62 graded stakes winners and the Barbados Gold Cup twice. Honors and appointments have gone hand in hand with Melnyk’s racing career. He is a former trustee of the New York Racing Association; co-recipient of the National Turf Writers Association’s Joe Palmer Award and was also named Owner of the Year in 2005 by the Thoroughbred Owners and Breeders Association. Melnyk at one time owned the St. Michael’s Majors of the OHA. He now owns the Canadian Tire Centre, home of his Ottawa Senators.